Chat with a sales associate. Give your company unprecedented visibility into employee spend and supplier invoices for improved efficiency, control, planning, and compliance. Get a single view of all travel, expense and invoice-related spend. SAP Concur makes it simple to automatically connect spend data from almost any source — from corporate credit card accounts to online travel sites and suppliers — back to your core Concur solution. SAP Concur integrated solutions: the right fit for every company. SAP Concur offers additional cloud-based services that integrate seamlessly with our core solutions and with each other — without adding unwanted cost and complexity. 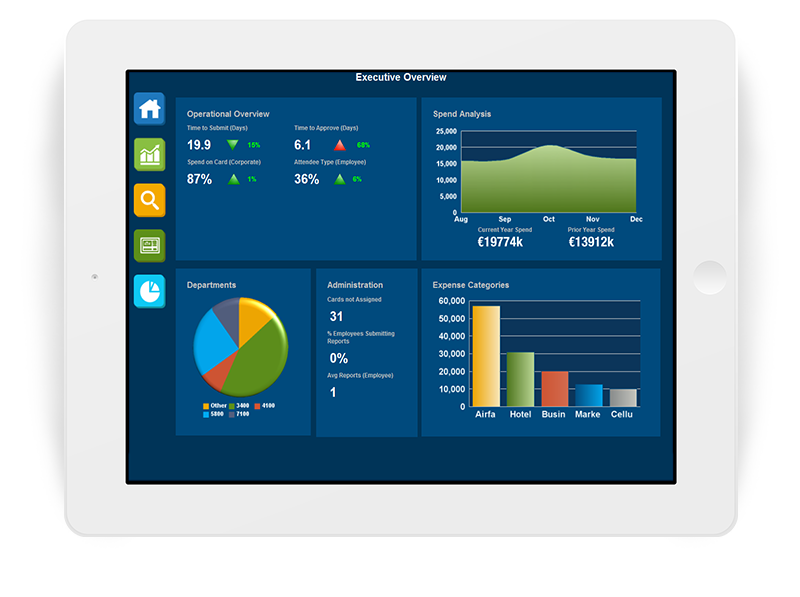 Company Bill Statements from SAP Concur puts you in control of your P-Card program by capturing all card purchases, easily reconciling all transactions and supporting compliance with a full audit trail. Guide company spending before it happens. Call upon Concur Request to automate spend requests and approvals for travel and everyday expenses, giving your finance team the visibility to make strategic decisions about spending before it happens. Automate and integrate accounts payable. Automate the entire invoice management process with Concur Invoice, which integrates invoice and T&E payments into a single system for tracking all your company’s spending. Use actionable data to make better decisions. Gain a single, clear view of all spending including travel, ERP, invoice and corporate card data using Concur Intelligence. Benefit from proactive insight to control spending and drive effective decision-making. Maintain insight and stay compliant without wasting employee’s time. To ensure company’s money is being spent within policies but doesn’t want to monitor every employee’s transaction, Expense Report Auditing is the right fit for you. You can choose from auditing expense report line items or verifying submitted receipts, the decision is yours. Contact us about a better way to handle spend management. Complete the form to have a sales representative contact you, or call +852 3899 8624 today. Tell us the travel & expense management issues you are interested in solving. Now just fill in the fields below, and a Concur sales representative will contact you. I agree that SAP Concur shares my personal data with other SAP entities as outlined in the SAP Concur Privacy Statement. Thank you for contacting us about a better way to manage travel, expenses or invoices. We have received your request for information, and we will be in touch with you soon.